Woeful Nats: Calling All Beliebers! I'm sure you have heard of baseball before. It's the one where they throw a white ball and a guy tries to hit it with a baseball bat. Pretty simple stuff. There is a professional league in the United States called Major League Baseball. Each year the league selects the best players on each team to be All-Stars. If hot singers had an all-star team then Bieber would clearly be the captain and maybe One-Direction would be the "infield" and Selena Gomez would be the manager. Hopefully that gives you an idea of how it works. One choice is a guy named Chipper Jones who is 40 years old (ew, grody, what is he my grandfather). The other choice is 19 year old (1 year older than the Biebs) Bryce Harper, a dreamy young superstar who writes in a journal and has a puppy dog named Swag (awwwwwwwww). 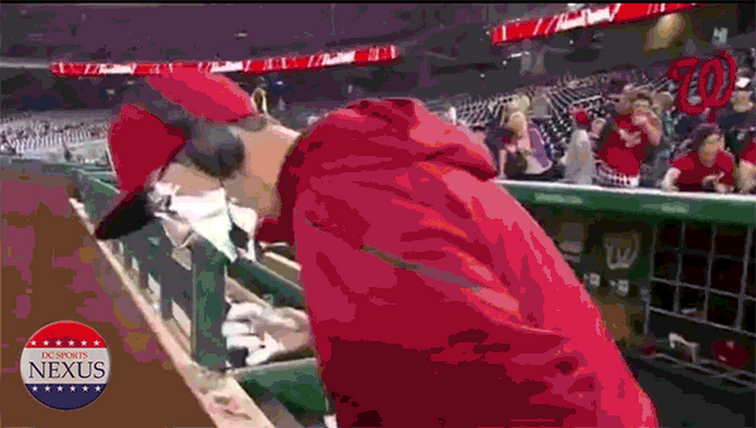 One of the fun things about baseball is that each player picks a song that will play on the loudspeaker as they walk up to the plate to try to get a hit. Chipper Jones' song is 'Crazy Train' which came out a million years before you were born in 1980 and is sung by a guy who bites the head off of bats (ewwwwwwww). Well guess what Bryce Harper's walk-up song is? Boyfriend!!!!!!!!!!!!!!!!!!!!!!!!!!!!!!!!!!!!!!!!!!!!!!!!!!!!!!!!!!!!!!!!!!!!!!!!!!!!!!!!!! A Bieber Classic!!!!!!!!!!!!! So CALLING ALL BELIEBERS! Baseball fans need your help. We need to get this young heartthrob to be an All-Star. He deserves it! He is soooooo sexxxxyyyy!!!! A guy who loves the Biebs and has his song as his personal theme song. 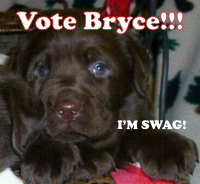 Help puppy Swag out! And keep out the old man who probably thinks Bieber is "lame" or whatever other dumb language old people use. All you have to do is go to the Voting Site and click on Bryce Harper to send the right person to the All-Star game! We thank you, and Bieber probably thanks you!